If you go watch out for bouys with rope floating near them. Hopefully the group will do better on Sunday. My boat is now put away for the winter. Time to get ready for Florida fishing. 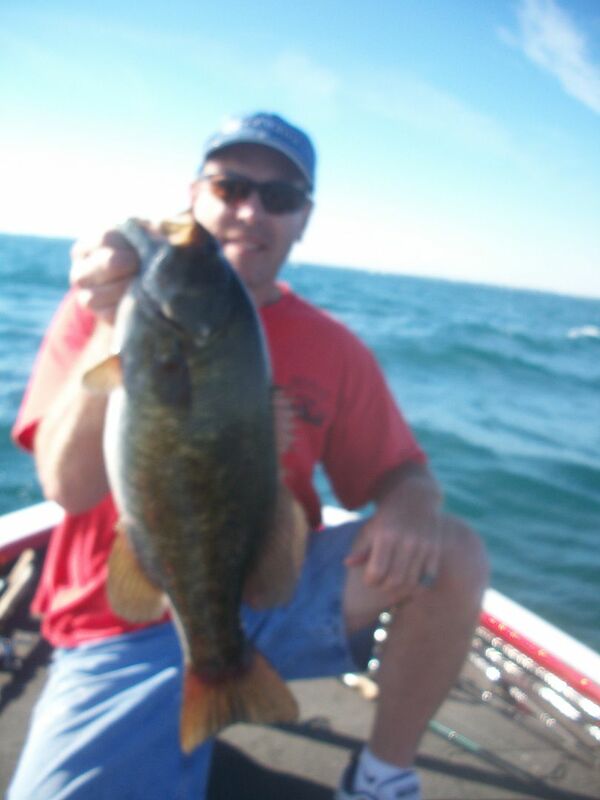 We caught over 50 LM in Lk Erie Friday in 38* water... All on my large blade baits. Not bad for 5hrs of fishing... Big fish was just under 4lbs Several over 3lbs. I am going to give up fishing and start Bird Watching. The hot pond has been off this fall. It may pick up later. My guess there is just too much food right now and you can't compete with them just opening their mouth and swallowing. No need to chase baits. I had a buddy that was in there last Monday and had the same deal. They caught 5 or 6 with one good one. They left and tried another area that was much colder and wacked around 80. It could be these fish move if pressured too much. The hot pond just hasn't been as good as it was 15 years ago. Pressure will do that. 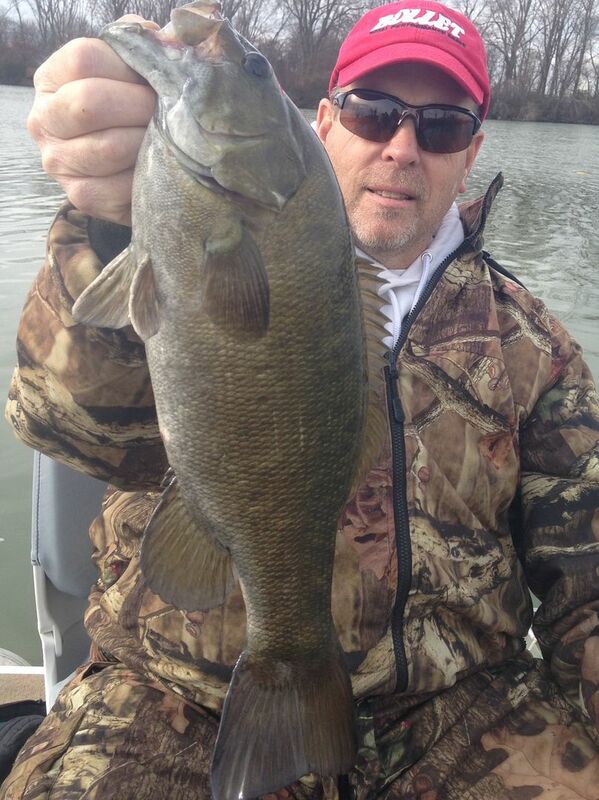 Just ask those Ohio guys that do largemouth only tournaments. It's really hard to catch them over there now in East Harbor and West Harbor. I seen a lot of those guys over on the Michigan side this year. I think it's only going to deplete the Michigan side more in the future. Keep your head up. The area wasn't the right one to be in. It wasn't you. My guess is Mike will catch 100. He always does in there.. He is the Pond Master. In the pond area or out front of it? Dang must be bad if you couldn't find them. Frank and Mojo were in there but have not heard if he caught anything. Time for me to get ready for Florida fishing. We fished hard out at the mouth of Erie and never had a sniff.... Caught the smallie inside the middle of the pond. Seemed like a lot more bouys for nets in there from the commercial fishermen. There was on net on the right side full of dead fish. Wonder how many Game fish they kill in them. Still worth going to see the Bald Eagles that live in there. Funny I have had 7 people contact me from Facebook asking how they can get in there to see the Eagles. Would be a good charter business for someone with a charter license. Several of us were in there yesterday. Nobody did well. A bunch of junk fish caught/ snagged? I never had a bite, but only fished 2 hours. I seem to be having motor problems. Was late getting to the pond, and had to leave early. No decent sized bass that I heard about. Frank did catch a giant carp but he had no net and never got it in the boat. Best part of the day was the meal after. It wasnâ€™t a horrible day. Nothing like the 25 lb day I had oh maybe 10 years ago. Iâ€™d say I havenâ€™t seen one over 4 lb in 5 years. Anyway, we had an all species day, I caught 3 keepers none over 3 lb. 2 LM on cranks and one SM on a tube. Seemed to get bit more as the sun came out. Water near the outlet was 63 degrees, not terribly stained. The number of 4- 6 inch shad caught was crazy for sure. I think there are 2 areas that could produce more if we worked them more. For me it was being surrounded by my quality quality quality friends Sunday. And met 2 more really stand up guys ! For me, having these small but meaningful annual get togethers are the very events we will remember long after weâ€™ve forgotten the outcome. You guys should really join us up at Franks in July. That is a hoot ! And we catch 5 lb LM. Bobs Swap meet - absolutely the best of the best. Would you have to be bananas to catch them in 38 degree water Mikey ? I fish in temps down to 29* I dress for it... It shortens winter. Nope... I was not fishing the banana dyke... Nope! I was fishing from the back of someone else's boat. I had the first 10 fish from the back, And he was fishing his smaller blade baits in front of me.. I know your secret spot. lol It's been hot this year and there have been as many as 6 boats in that small area. Keep sticking them buddy. I went there last Sun and there was already 3-4 boats in there... I left. I'm Not going to join the crowd. Guys drive 2hrs to fish 10 acres.. They are mostly from OH.